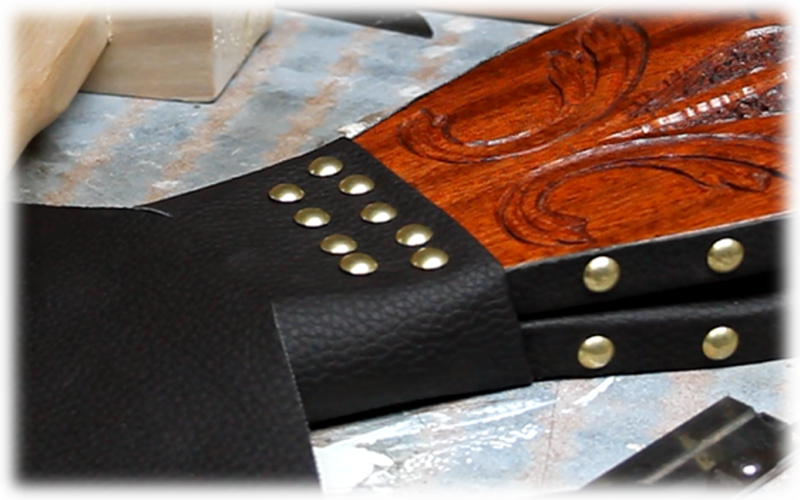 A useful aid to a roaring open fire, or simply a nice decoration to adorn your fire surround. 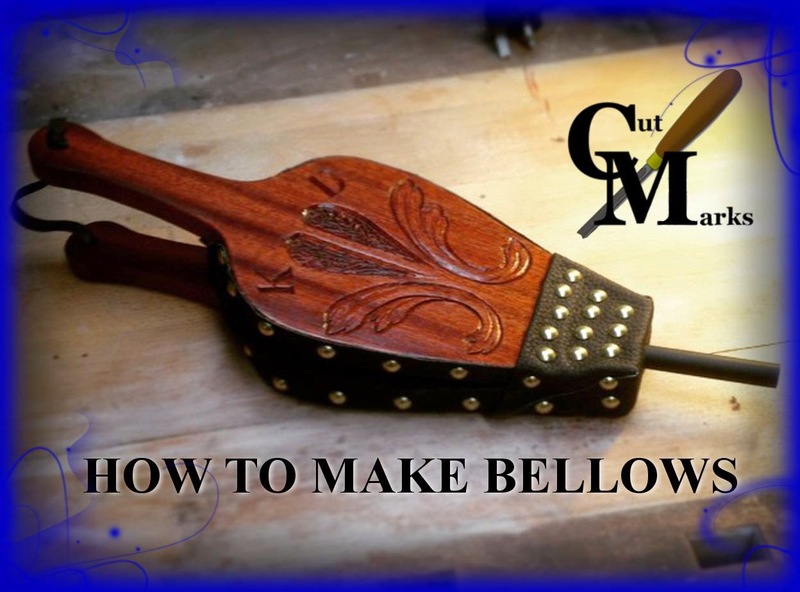 Whatever the reason, making your own pair of bellows will challenge your creative juices, and better your woodworking skills! 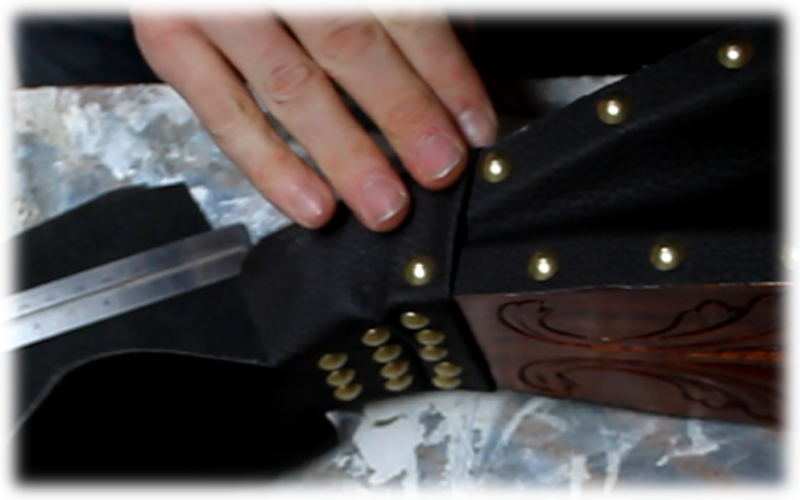 Please watch the video below and have a read through the tutorial before you start. 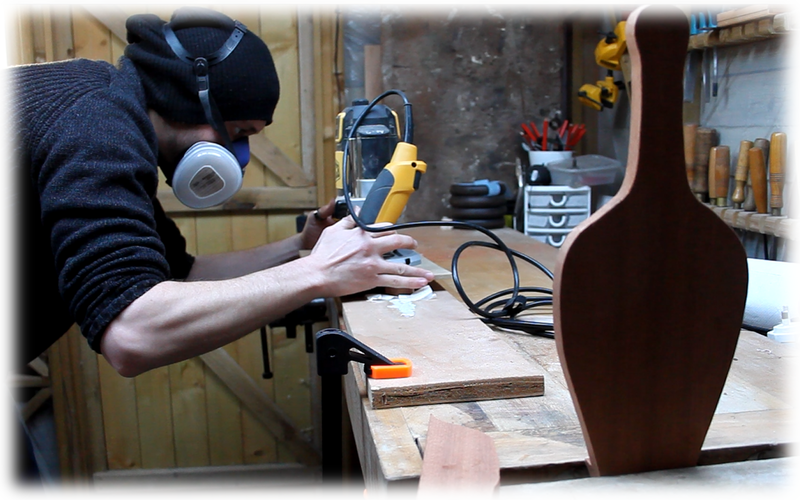 This will help to get an idea on the build as a whole. 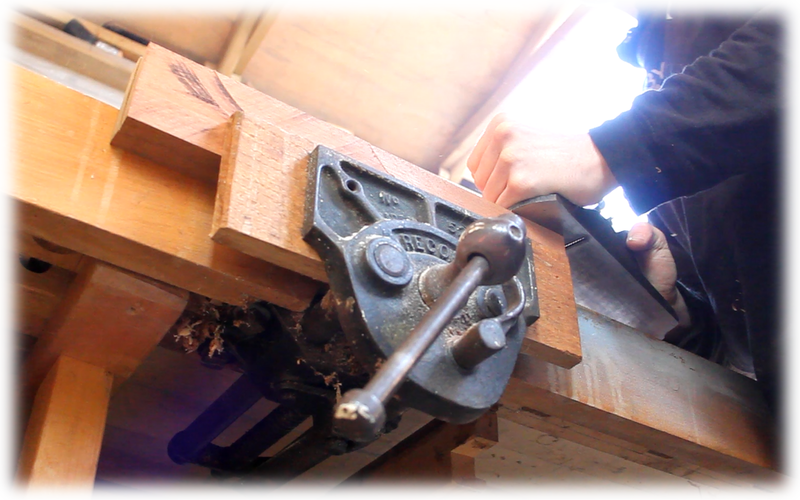 Keep checking progress with a straight edge. 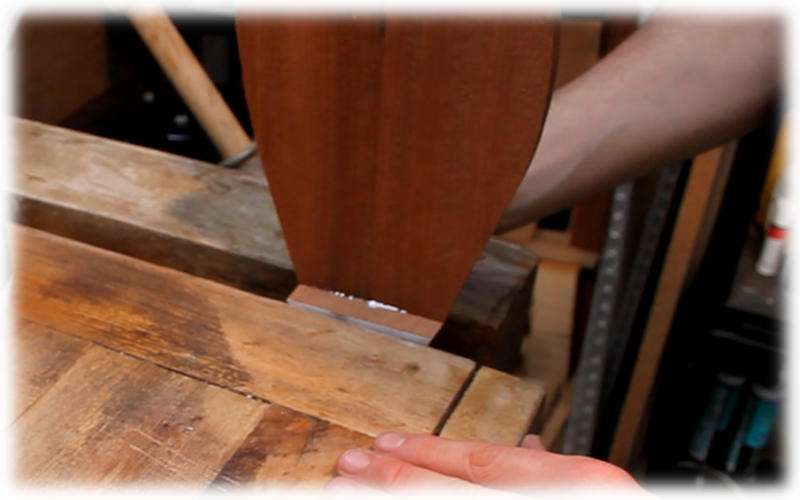 If you’re able to buy your wood pre planed, check that it’s square and flat and skip straight to gluing up! 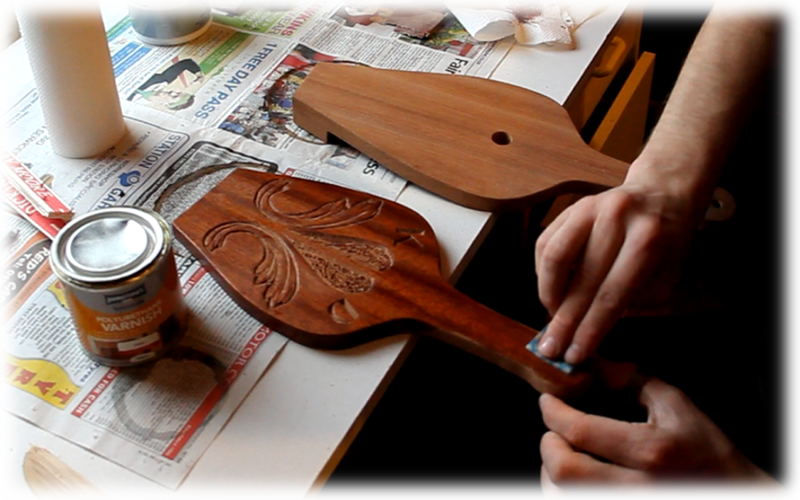 Here I stuck the two boards together using double sided tape, and then glued my design to the wood. 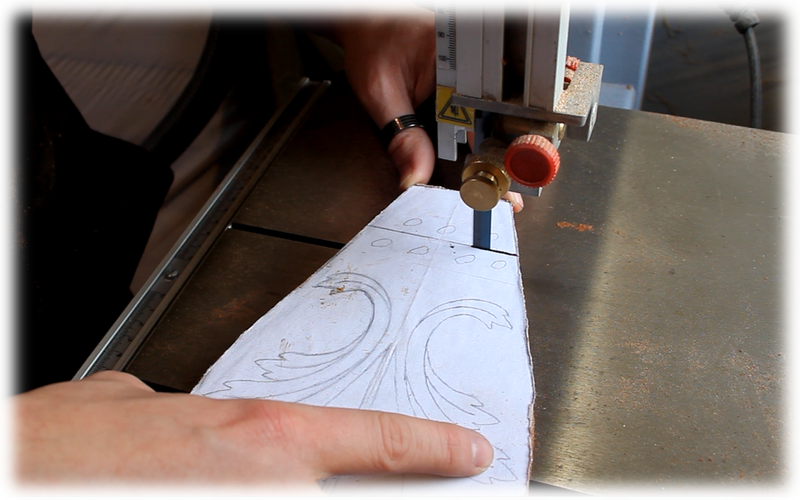 If you’re feeling arty and adventurous you could simply draw your design straight onto the wood! 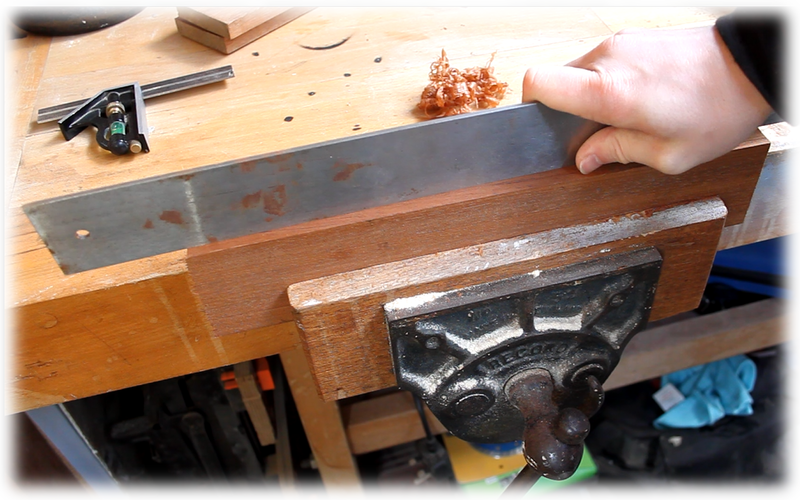 Take just the top board and make a straight cut across, roughly 2 inches up from the bottom, or wherever you feel looks right for it to hinge. 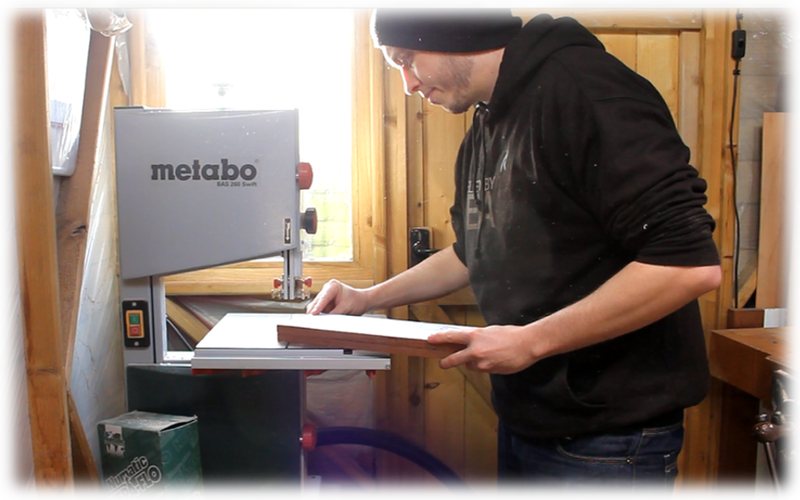 Again I use the bandsaw here but you can use any kind of saw. 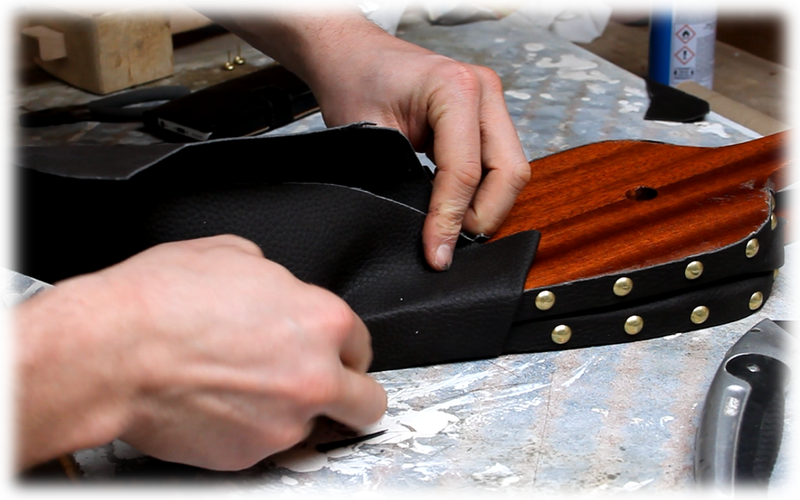 If you do not intend to decorate your bellows in any way, or want the wood grain to speak for itself, please skip this section. 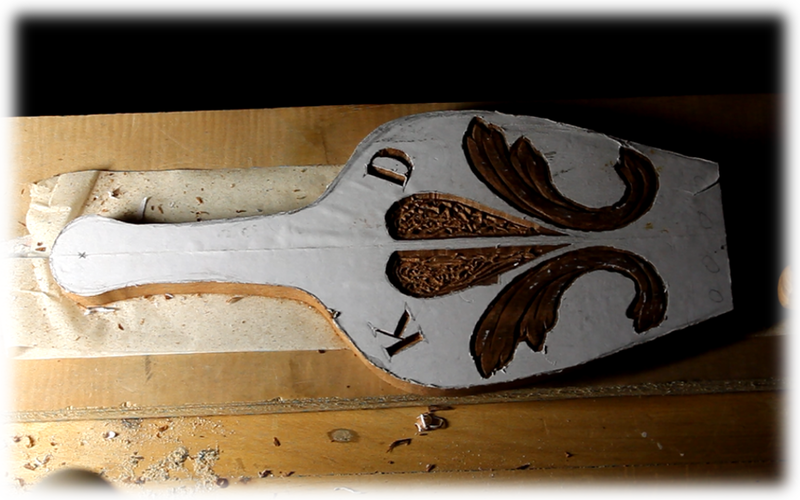 I’m a lover of hand carving, so I hand carved my fiancées and my initials, with two acanthus leaves either side of a heart that I created by using a router with a V bit. 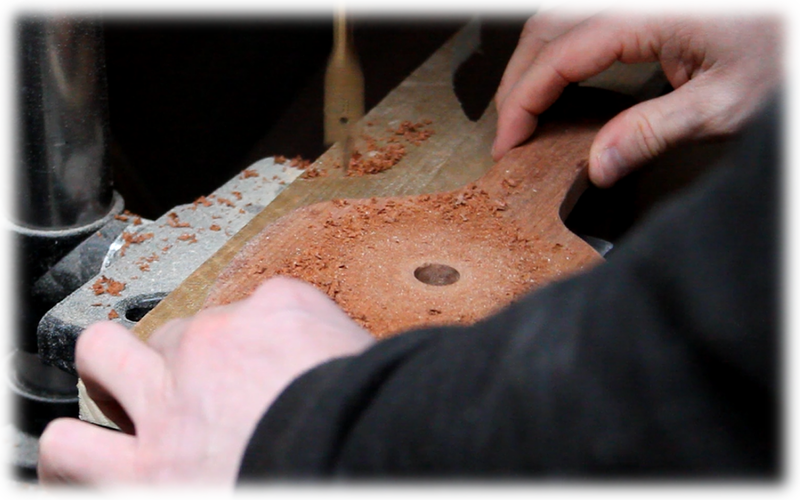 Using a spade bit I drilled a hole in the centre of the bottom board (undecorated board). 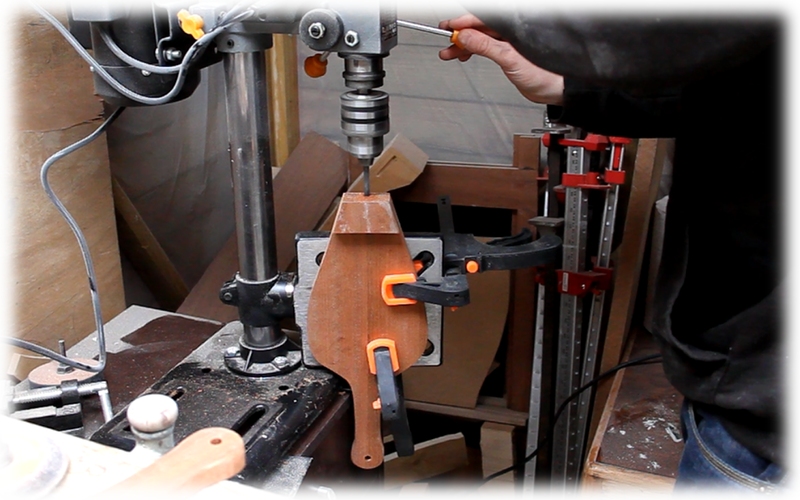 This will act as the valve to let in air but stop air escaping. 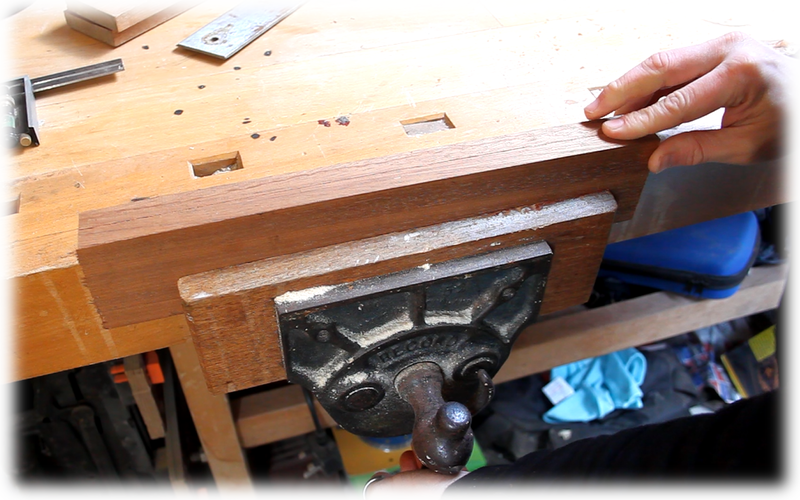 Again, this can be done with a hand drill and regular drill bits. 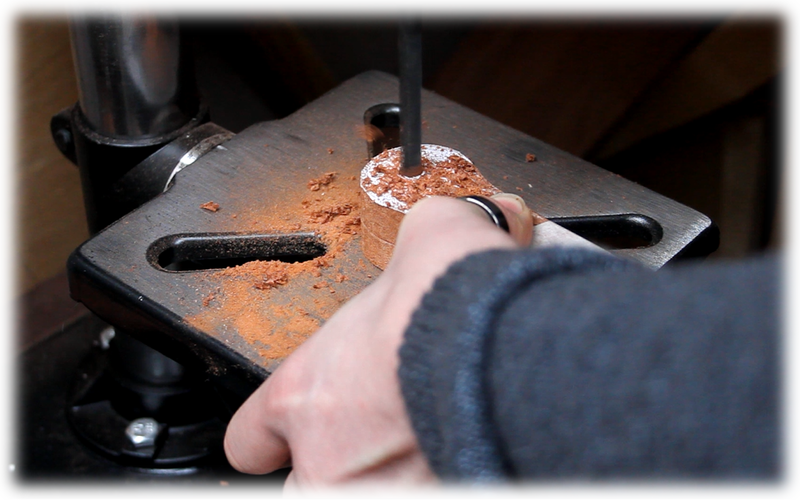 If you only have access to small drill bits, drill a few holes close together instead. 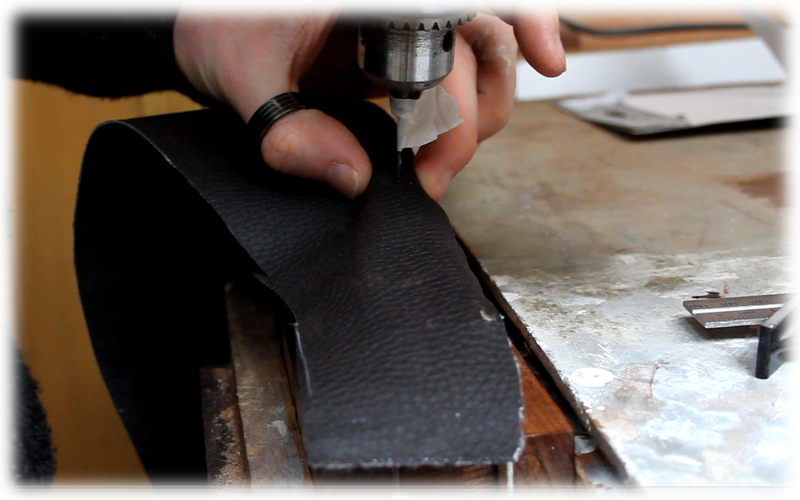 Once your leather is cut to size, we need to start gluing it down. 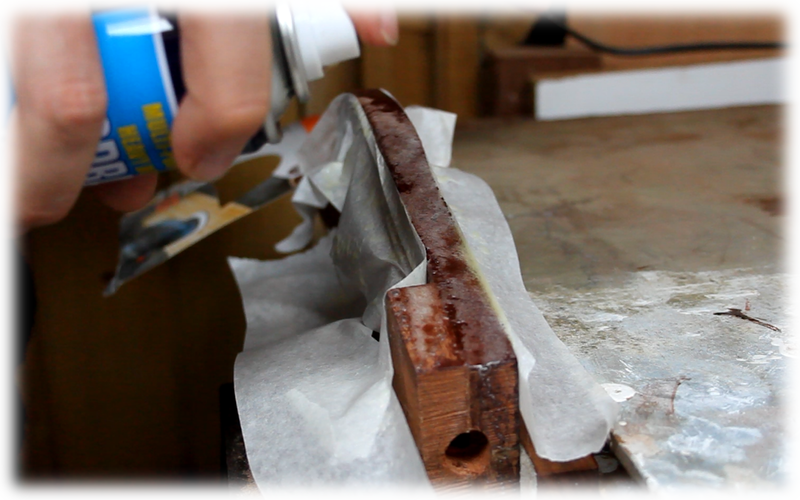 I used spray glue at first, as that is all I had lying around. 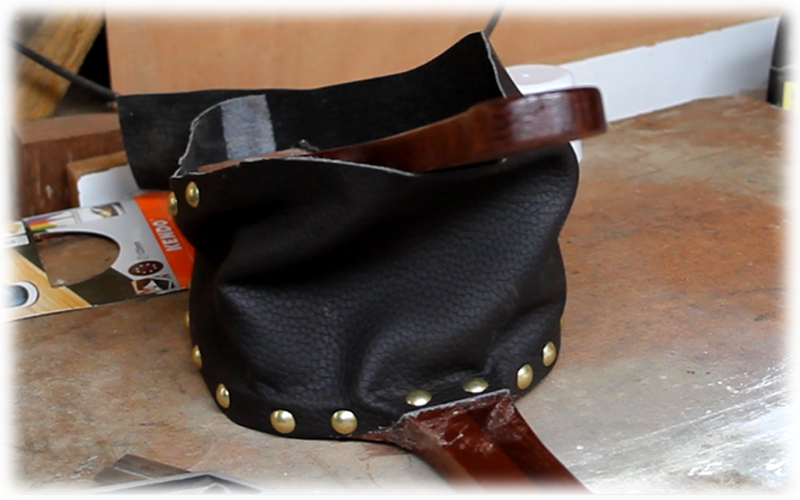 For extra strength, and to add a little flair, I tacked the leather down using upholstery tacks. 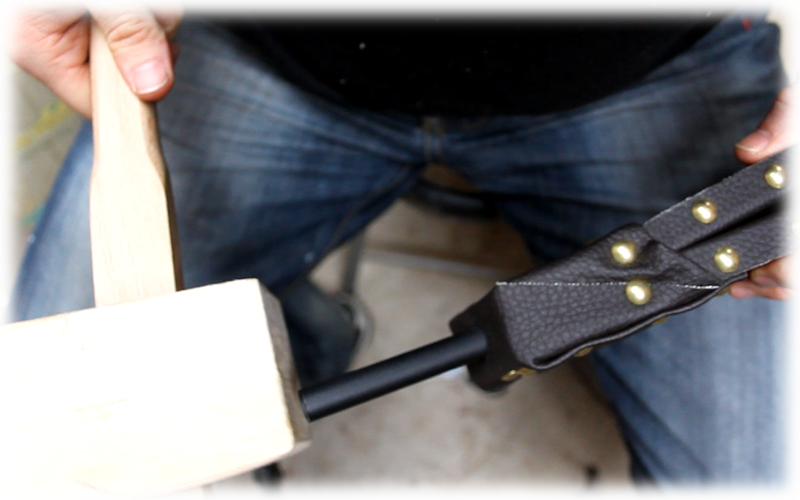 I slightly pre drilled these, just to be on the safe side, as the last thing you would want at this stage is the split the wood! 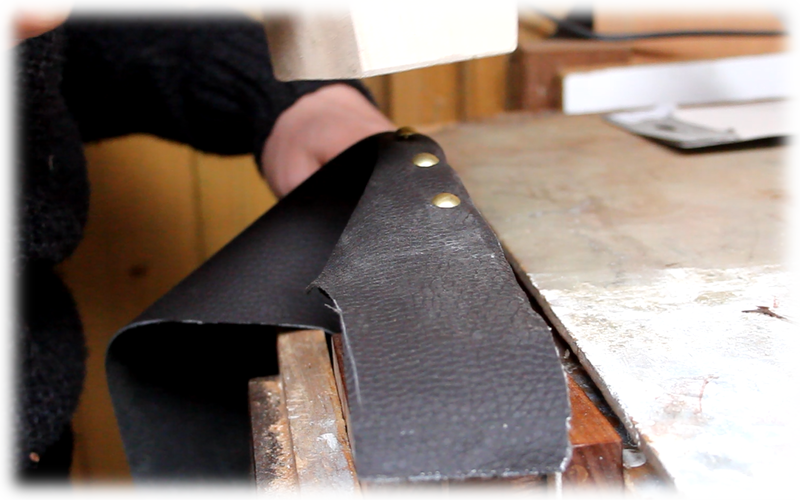 Take a scrap of leather, ensure that it’s wide enough to wrap around the bellows, like below, and long enough to wrap over from front to back. 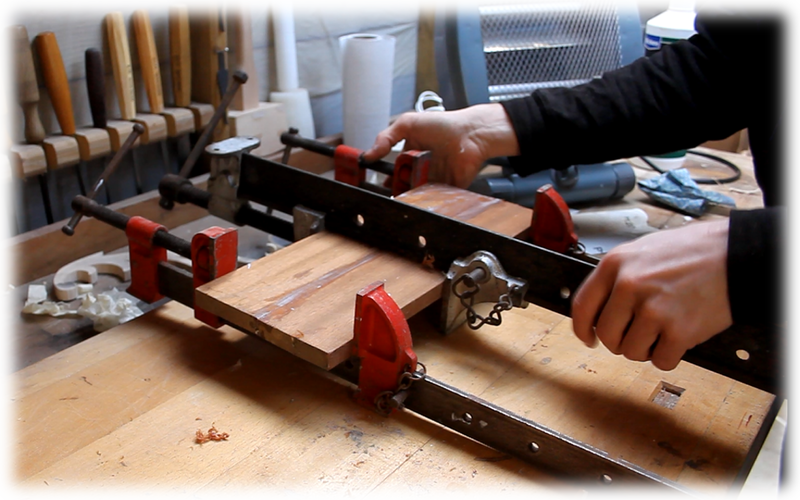 A line of tacks must run either side of the split you cut in the wood earlier. 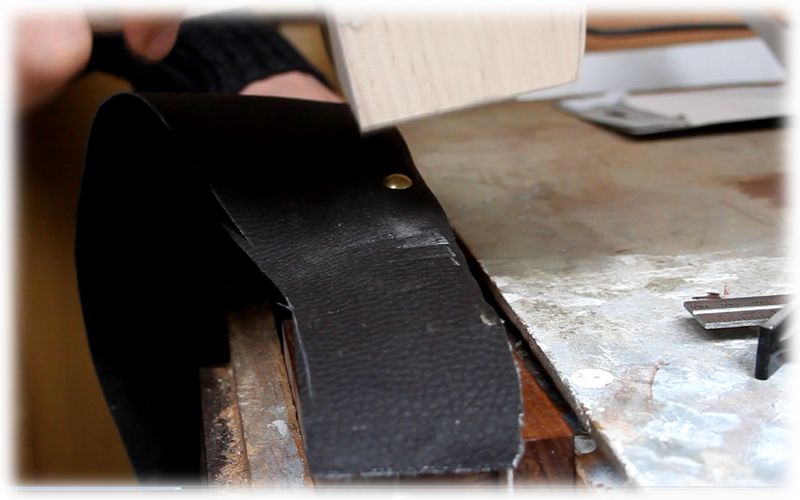 This will create a hinge with the leather. 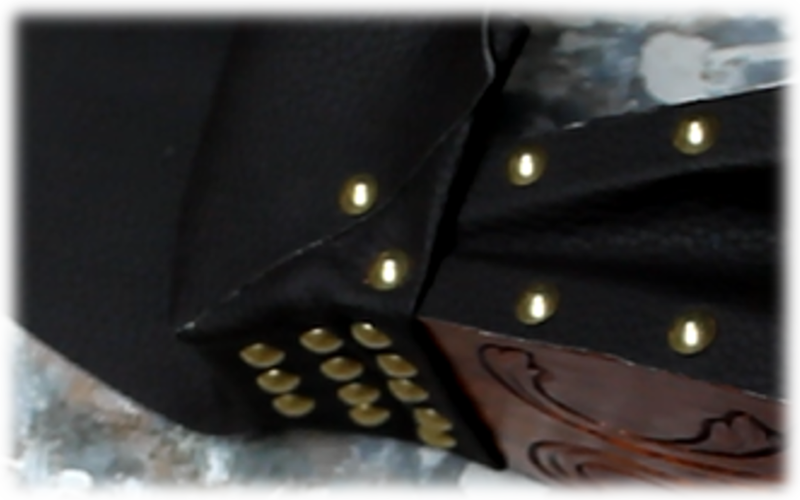 I later add more tacks under these, but they are mostly for decorative purposes. 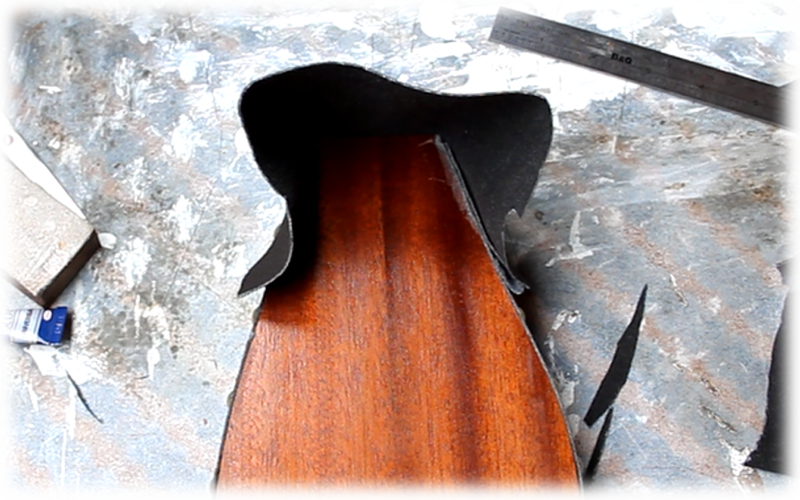 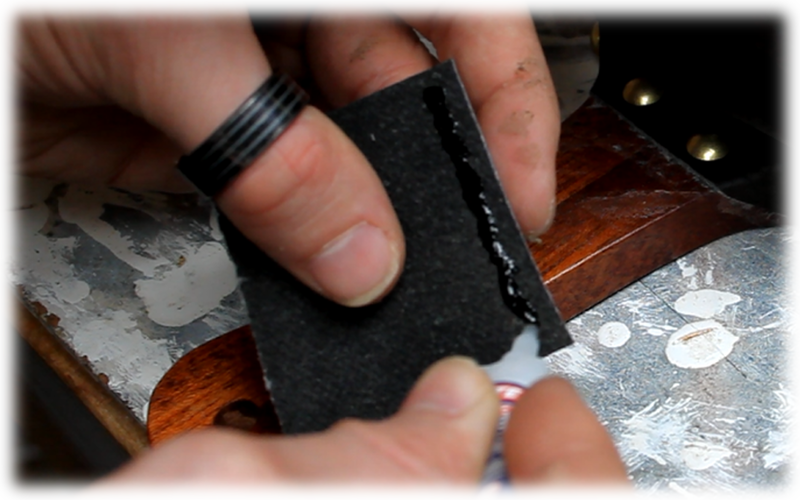 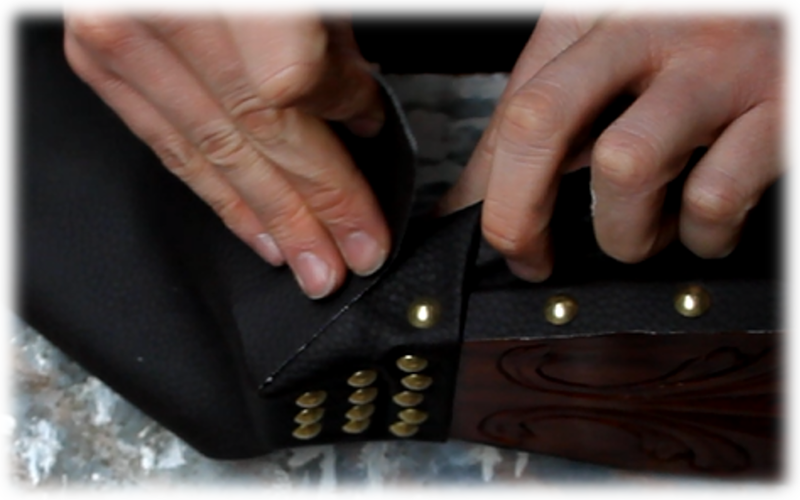 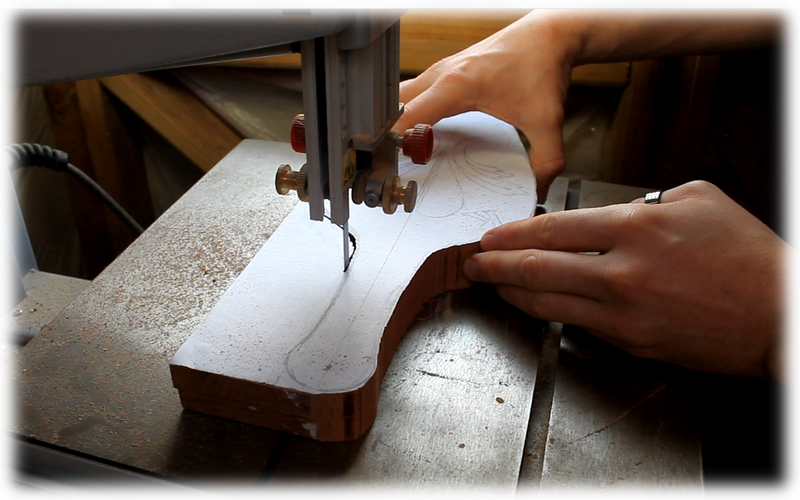 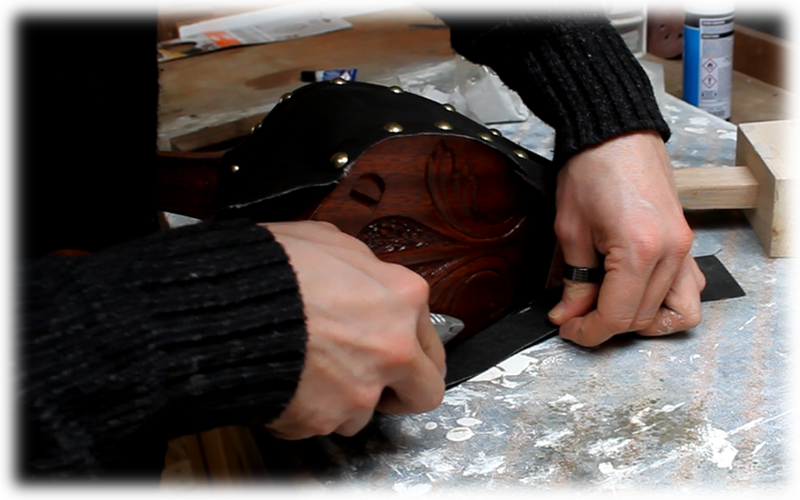 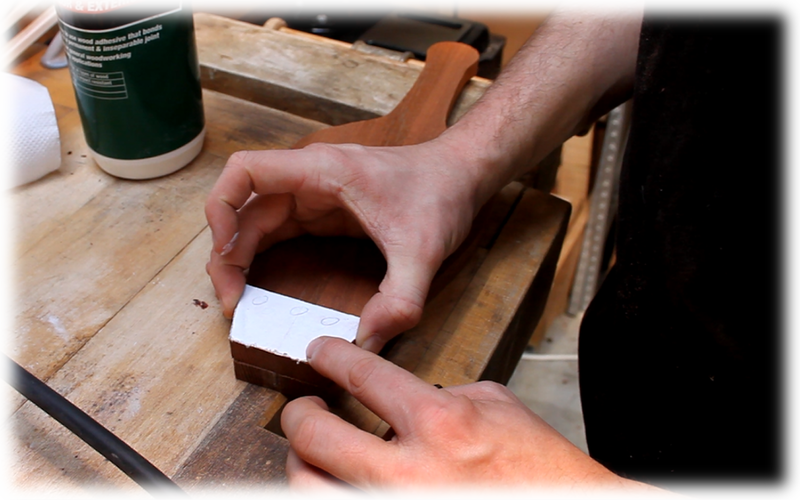 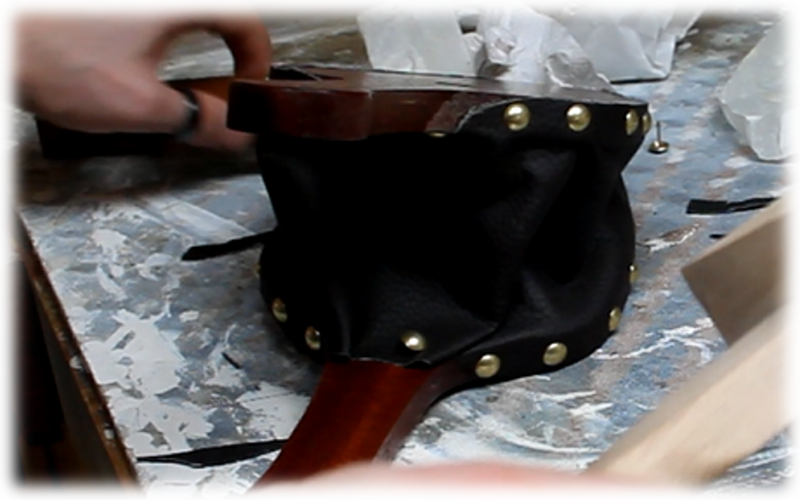 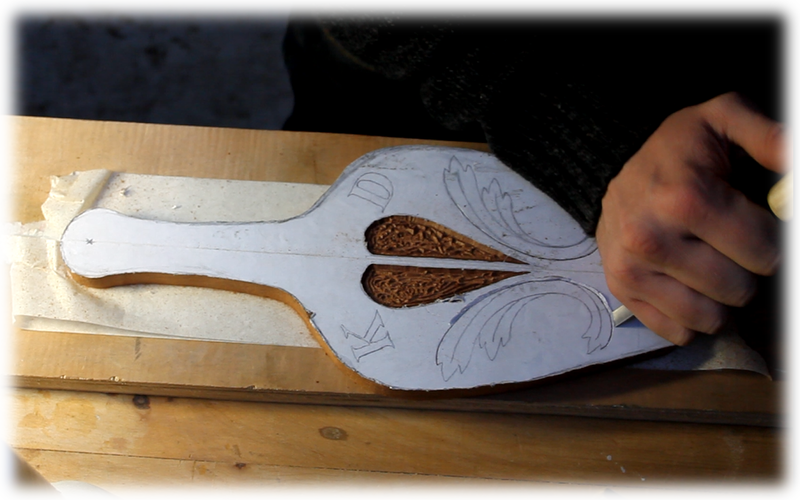 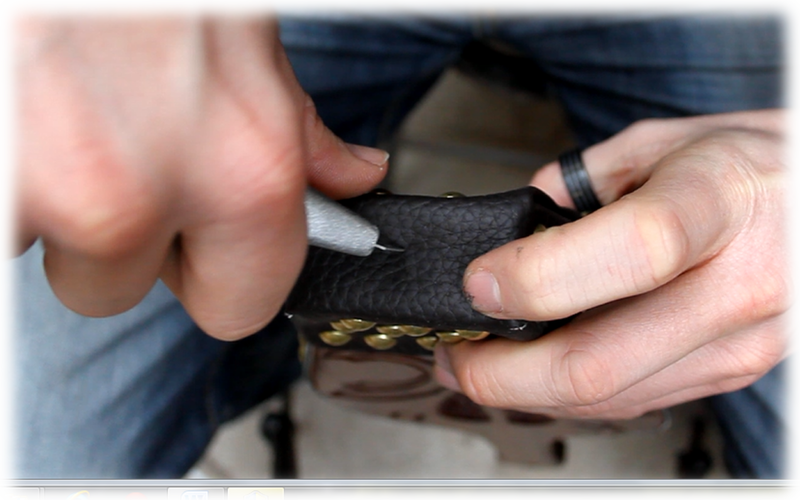 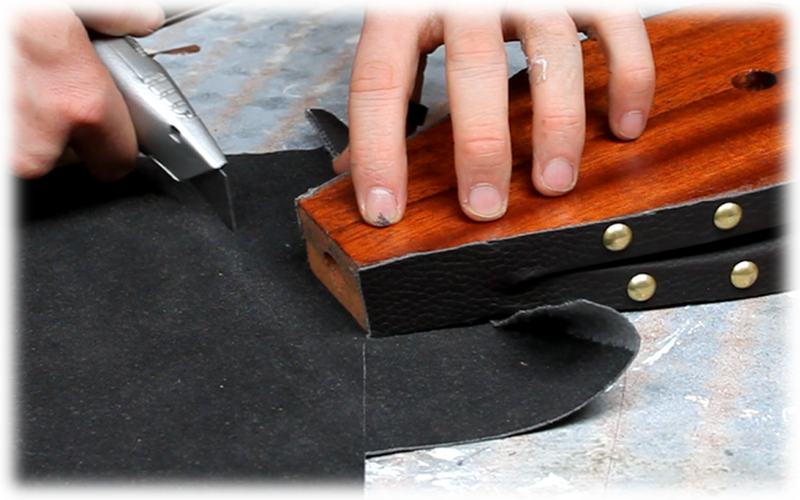 Making sure you have the bellows fully open at this point, begin tacking and wrapping the leather as shown below. 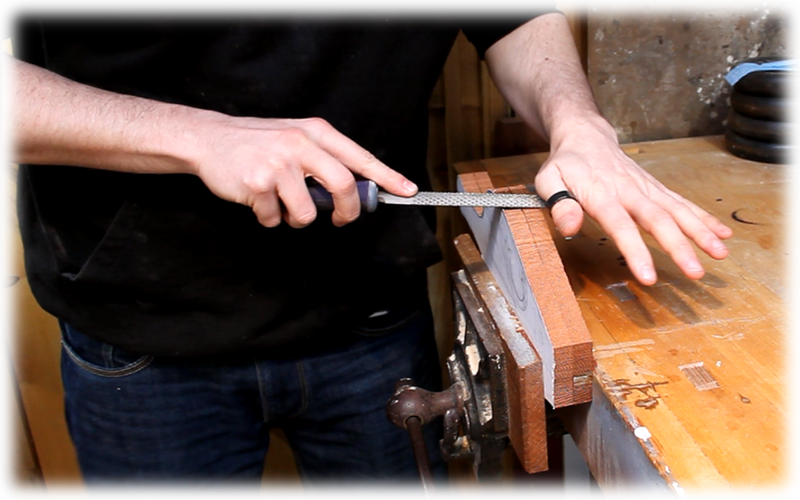 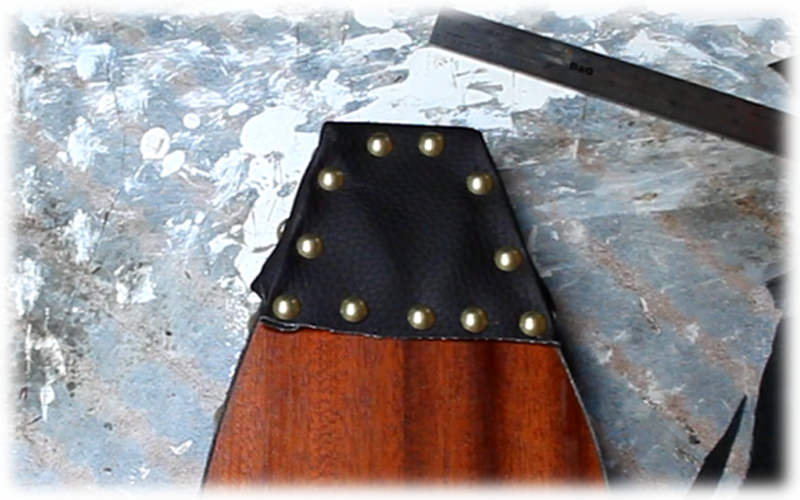 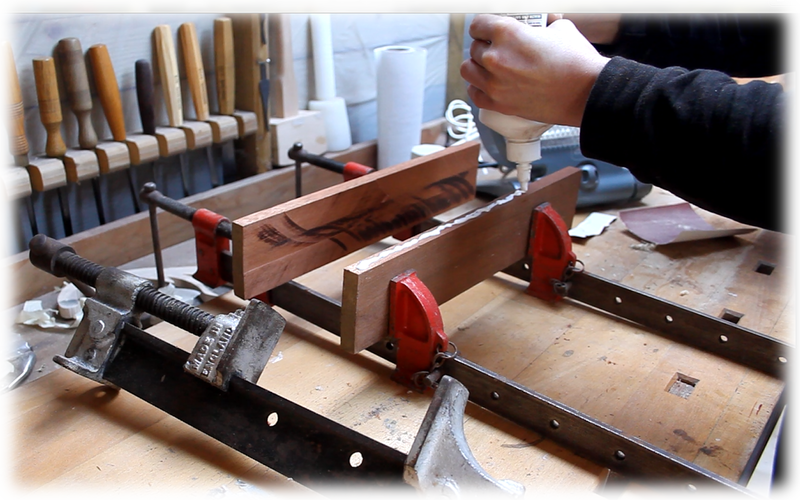 The final touch is to add a strip of leather to the holes in the end of the handle. 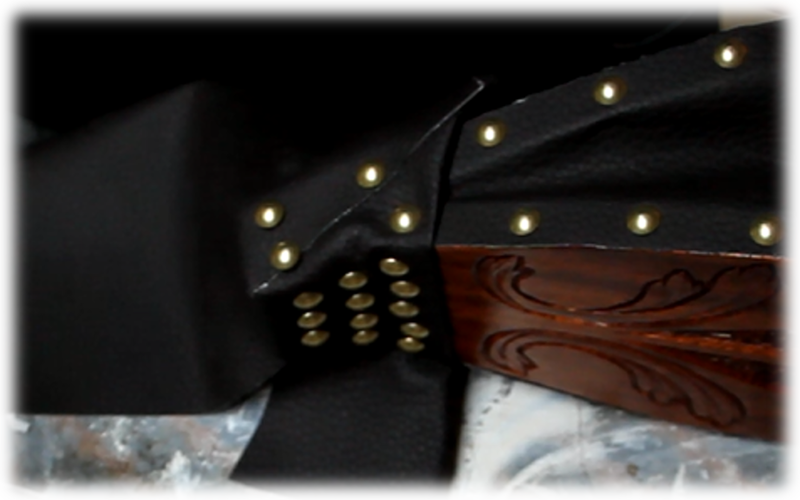 This allows it to be hung, and acts as a safety measure to prevent the bellows being pulled apart too far by over enthusiastic family members! 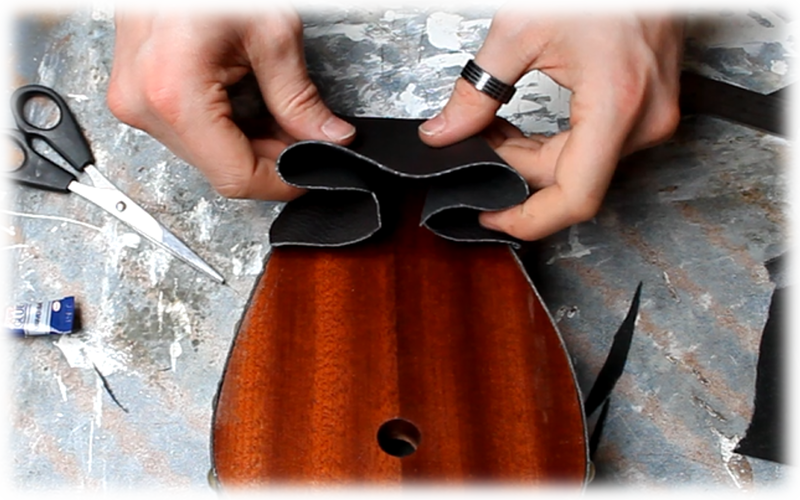 If you know of an easier method to any part of this build or have any questions, please write it in the comments bellow for everyone to learn. 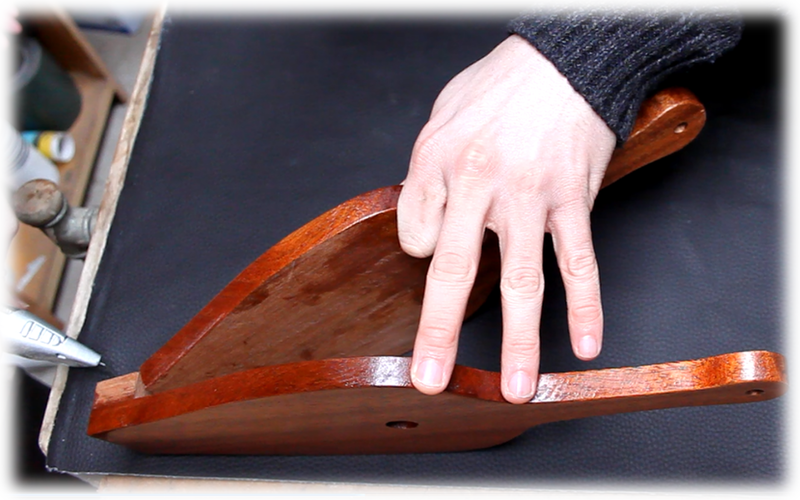 sorry, what was the groove purpose?